Make this patchwork and applique quilt one block per month for 12 months. Class held 2nd Monday of each month beginning Jan 14 for 12 months. Kit with pre-cut pieces provided. Class is 2 hours and is held at 10:00am or 4:00pm. Each class is $10.00 per session. Kit will be $7.99 each and may be purchased at the time of the class. 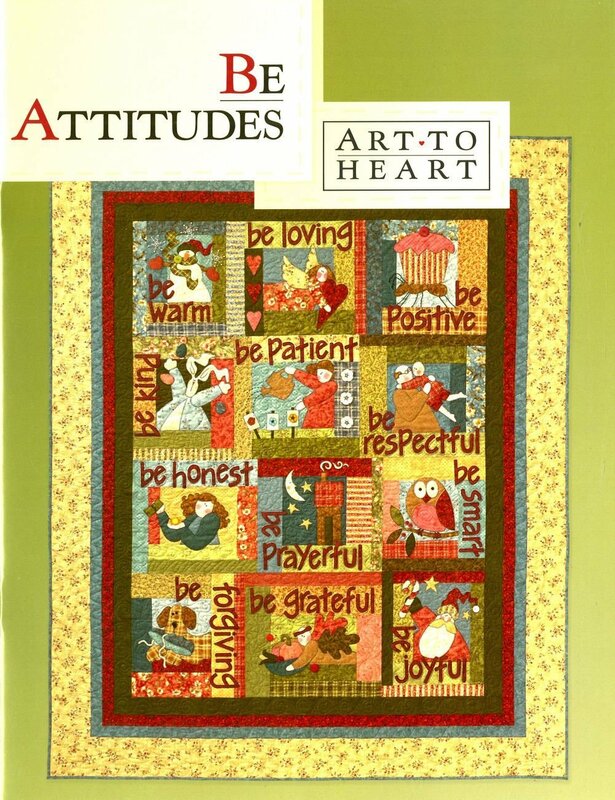 "Be Attitudes" instruction book is $19.99 and may be purchased at the first class.